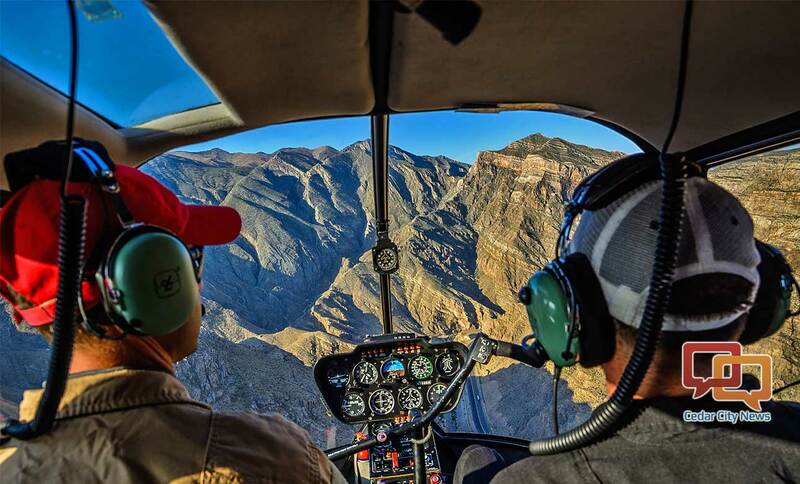 ST. GEORGE — Southern Utah University’s aviation program is setting the benchmark for aerial support assistance programs across the country as students take to the skies sporting night-vision technology when calls go out for help. 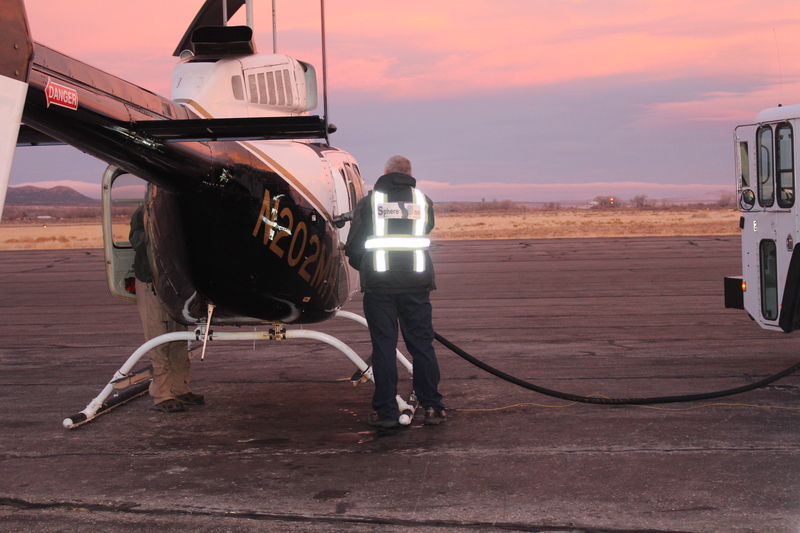 The SUU aviation program assists law enforcement agencies and first responders in various functions, including search and rescue operations, early identification of wildfires, crime scene aerial photography and first responder assistance to Intermountain Life Flight crews. This is made possible by the fact that most of the top-level management in the university’s aviation program are also deputies in the Iron County Sheriff’s Office’s Air Operations Division. 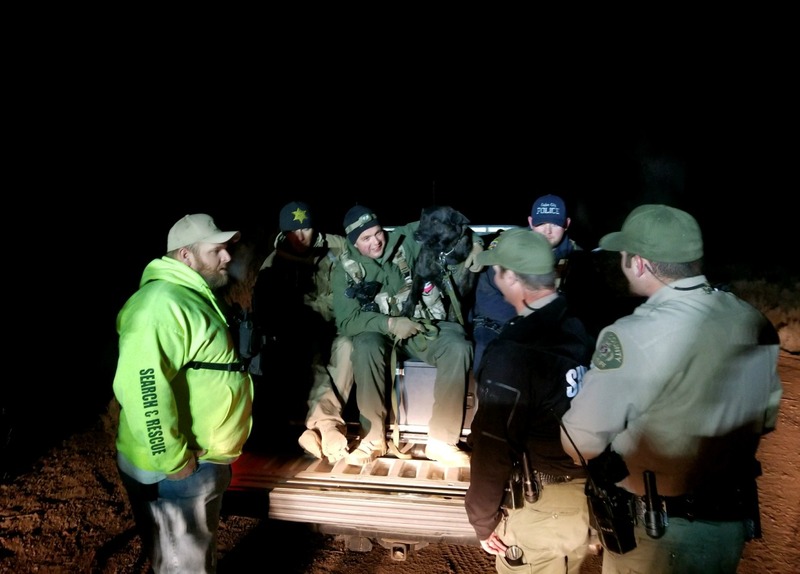 The service the aviation program provides was illustrated in the recent rescue of a missing 6-year-old child that wandered off while shed hunting in Iron County. During the search, an SUU flight instructor assisted in the nine-hour mission that ended when search teams on the ground located the child and returned him to his family. Aviation program Executive Director Michael Mower said he looks at the program’s aerial support during such events as a community service. Mower was first notified of the search when the Iron County Sheriff’s Office contacted him and requested assistance to locate the child and, within 20 minutes, the SUU helicopter arrived at the staging area. SUU flight instructor Daniel Garcia was able to see the search area in the dark, which, Mower said, would have been impossible without the night-vision technology implemented in the program within the last month. The boy’s rescue was the first opportunity the students had to use the technology in a real-life search and rescue scenario. Many times the injured or lost individuals come into the open once they hear the helicopter, making it easier for ground crews to see them, who Mower said deserve the lion’s share of the credit for rescue efforts. Rescues do not always involve searching for or flying a lost hiker out of the area to return them to safety. Sometimes rescues involve flying emergency medical personnel to an injured person at the top of a canyon or steep cliff. SUU’s aviation program is one of only three schools that offer flight training in the state. It is the largest program in Utah and the only program of its kind in the nation offering both fixed-wing and rotor aircraft. “It is one of the largest helicopter schools in the country,” Mower said. In terms of elevation, it is the highest college aviation program in the nation, giving students who learn to fly at SUU an advantage, due to the difficulty inherent in high-altitude flying. Students attending SUU’s aviation program are not necessarily from Utah. The program includes students attending from 45 states and three countries. Placement after graduation is included in the program. The need is high, as well. The U.S. produces less than 600 pilots per year total, but the need far exceeds that. Over the next 10 years, 7,500 helicopter pilots will be needed. The SUU aviation program is much different today than the previous program run by Upper Limits Aviation, an outside company that contracted with the university to offer the professional pilot degree in 2013. The two organizations came under fire in subsequent years. Members of the community voiced complaints about increased air traffic and noise from aircraft and a proposed rate increase for the airport brought on by the Cedar City Council. The program also became the target of a Los Angeles Times article in March 2015 about a Department of Veterans Affairs loophole scandal. After more than a year of turmoil, SUU took over the program and severed all ties to Upper Limits Aviation and has worked with the various agencies to ensure that all issues are resolved. Today, the program is now entirely self-funded. Enrollment is increasing and the program is using its own money to purchase new aircraft. The program also received a premier endorsement from a leading air service provider, SkyWest Airlines.